Editors' note: The June 27th webinar with speaker Andrew S.C. Rice is now available for viewing. Access the presentation and panel discussion below. Animal models of peripheral nerve trauma have played an important role in elucidating responses to the processes that may underlie the generation of neuropathic pain. Although such models are conventionally used in the drug development process, they have historically enjoyed limited success: while animal models are generally sensitive to drugs that have known efficacy in the clinic, they are less useful in predicting the efficacy of novel drugs in subsequent clinical trials. There are multiple reasons, and therefore solutions, for this translational failure. Improved replication of the lesion/disease underlying pain in animal models. In particular, the importance of creating a portfolio of models that properly reflects the spectrum of clinical conditions associated with neuropathic pain. The conventionally used outcome measures of hypersensitivity of limb withdrawal responses evoked by sensory stimuli have limited clinical relevance. The importance was emphasized of creating a portfolio of outcome measures that are ethologically relevant to a social and prey species and that are validated by appropriate pharmacological responses. Examples that were discussed include thigmotaxis (predator avoidance behavior), and burrowing (household maintenance behavior). The design, conduct and reporting of animal model experiments can be improved to reduce the impact of bias. “Good Laboratory Practice” for experimental design and conduct and full and transparent reporting in accordance with the ARRIVE guidelines were discussed. Following the presentation, panelists Perry Fuchs, University of Texas at Arlington, US, Jeffrey Kennedy, Eli Lilly and Company, Indianapolis, Indiana, US, and Camilla Svensson, Karolinska Institute, Stockholm, Sweden, discussed important issues raised by Dr. Rice's presentation in a conversation moderated by Jeffrey Mogil, McGill University, Montreal, Canada, and PRF science advisor. A recording of the webinar is available below. Lost in Translation: Improving the Validity of Animal Models Used in the Study of Neuropathic Pain is the second in a series of PRF webinars supported by the Mayday Fund, whom we thank for their support of this educational endeavor. 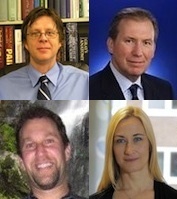 The first webinar was Preclinical Assessment of Affective Dimensions of Pain to Enhance Translation, with Frank Porreca, University of Arizona, Tuscon, US, and three panelists. A clinically relevant rodent model of the HIV antiretroviral drug stavudine induced painful peripheral neuropathy. Spontaneous burrowing behaviour in the rat is reduced by peripheral nerve injury or inflammation associated pain.